While the dreaded public meeting at the high school auditorium is still part of the public involvement process, success today depends on a strong stakeholder and messaging strategy delivered directly to the public thanks to social media and digital communications. At the recent MdQI conference for transportation and engineering professionals in Baltimore, members of the Maryland Department of Transportation State Highway Administration communications team shared highlights from their new Public Involvement Handbook that covers the latest best practices and strategies for communicating with the public. Based on years of experience with multiple public outreach projects, the handbook offers a wealth of information for what can become a costly and difficult process if not handled effectively by experienced communicators. Where we once focused on those public meetings – and the resulting news stories and letters to the editor – the attention now requires more targeted digital marketing techniques. For example, the app Nextdoor, a private social network now in over 180,000 neighborhoods across the U.S., is well-suited as a forum for highly targeted information including monitoring for sentiment and rumors. 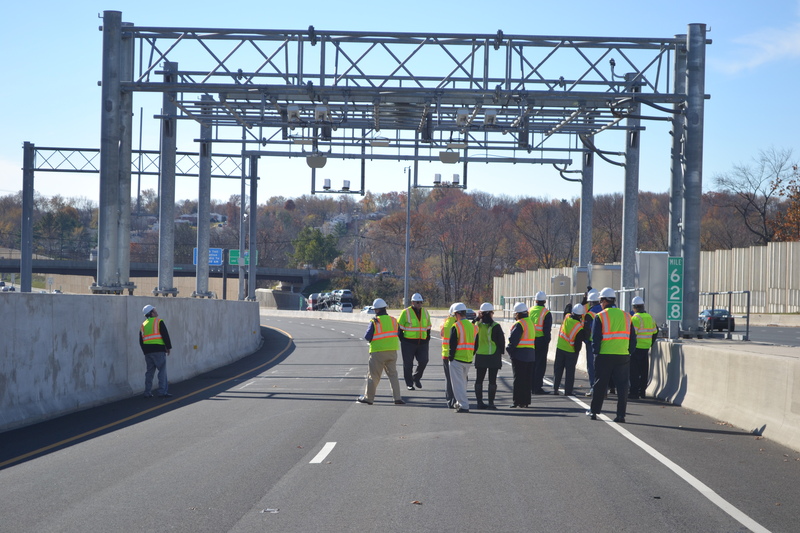 Another example is how MDOT SHA targets the cellphones of commuters who drive near the I-695 / I-70 Interchange project site. Similar to the digital ad for shoes that seems to follow you everywhere, the geotargeting technology knows who is driving near the interchange and will reach them with a link to an MDOT SHA survey that can be completed later. The Public Involvement Handbook offers an extensive list of communications tools, from the traditional (brochures, handouts, fact sheets and door hangers) to micro-techniques such as project videos, micro-websites, apps, social media, informational kiosks, visualizations, podcasts and real-time polling. A strategy section guides users through a stakeholder analysis and more. One engineering firm representative told the MdQI session attendees that the budget for these all-important public outreach activities is typically 2 percent of the project cost. The good news for digital outreach is it allows for better tracking and ROI calculation. Another engineering firm VP brought it all into perspective toward the end of the session. You can have the best communications strategy ever, along with flawless execution, but the harsh reality is that success or failure of a project can be tied to the unpredictable nature of politics and who is making the ultimate decision.